Are you tired of driving a large vehicle? 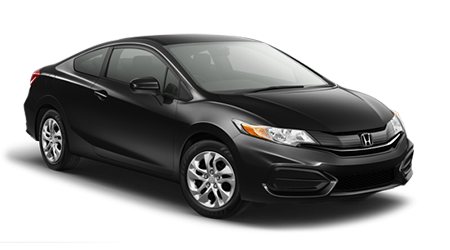 If you’re in the market for a compact sedan that can save you hundreds of dollars in fuel every year, then we have the car for you. At Jim Burke Hyundai in Birmingham, AL, we’re delighted to have the 2015 Hyundai Elantra at our dealership. As a compact sedan, the new Elantra features a fuel-efficient engine, is great value and has an impressive list of interior features. Jim Burke Hyundai serves Hoover, Tuscaloosa, Talladega and Jefferson County, AL at our convenient location at 1424 5th Ave. N. Stop by Jim Burke Hyundai for an enjoyable experience and check out the new Elantra today. The compact sedan segment has seen a lot of new competition, so let’s see how the 2015 Hyundai Elantra performs against the Honda Civic. One of the benefits to owning a compact sedan is their affordable price tags. If you’re looking for a compact sedan that offers you with the best bang for your buck, then the new Elantra won’t disappoint. The Elantra starts at $17,250, while the Civic has a MSRP of $18,490. That’s a price difference of $1,240 in favor of the Elantra. With its lower price tag, the new Elantra is great value for money and will save you hundreds of dollars in the initial purchase. While both of these sedans are classified as compact sedans, they offer you with spacious interiors that allow you to use them on a daily basis. However, if you appreciate having more interior space, then the new Elantra is the car for you. The Elantra possess an interior volume of 110.4 cu. ft., while the Civic has an interior volume of 107.1 cu. ft. The extra interior space allows the Elantra to have a cargo capacity of 14.8 cu. ft., which is 2.3 cu. ft. more than the Civic. Hyundai packs all of their vehicles with an extensive warranty that gives you the added peace of mind to use the compact sedan every day. The Elantra comes with a 5-yr./60,000-mile new vehicle limited warranty, 10-yr./100,000-mile powertrain warranty, 5-yr./unlimited-mile 24-hour roadside assistance and 7-yr./unlimited-mile anti-perforation warranty. 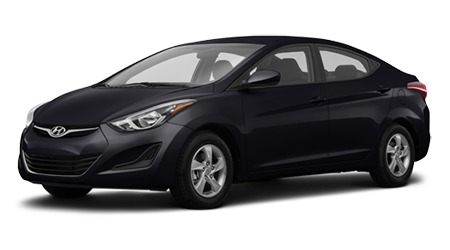 When it comes to compact sedans, the 2015 Hyundai Elantra is one of the best vehicles on the market today. With its exceptional value, spacious interior and lengthy warranty, the Hyundai has the upper hand over the Honda Civic. Visit Jim Burke Hyundai in Birmingham, AL at 1424 5th Ave. N. and put the new Elantra to the test.